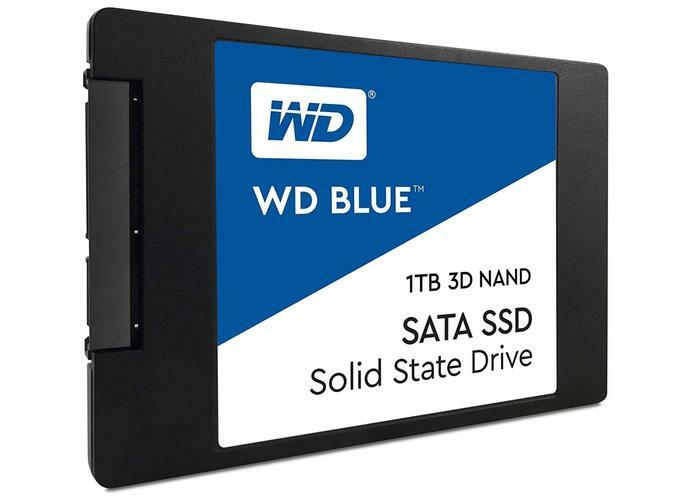 Don’t stop me if you’ve heard this one before, but the 1TB version of the superb WD Blue 3D SSD is on sale at its best price ever. Yes, that old chestnut again, but this time the price is far better than the already-juicy $199 price tag we found in July. Right now, Amazon is selling the 1TB WD Blue in both traditional 2.5-inch and M.2 “gum stick” form factors for a jaw-dropping $140. This is incredible for several reasons. First, you’re getting awesome SSD capacity at an amazing price. Second, this is one of our favorite SSDs. It earned honorable mention as the best SSD for most people in our round-up of the best SSDs for 2018. This TLC NAND drive delivers blistering sustained write speeds that come close to the performance of MLC NANDs. It also offers stunning value when you look at the price per gigabyte—which, obviously is even better today. Much better. Note that if you opt for the M.2 form factor it still uses a SATA III interface instead of the speedier NVMe protocol. That means performs on par with the traditional SSD.